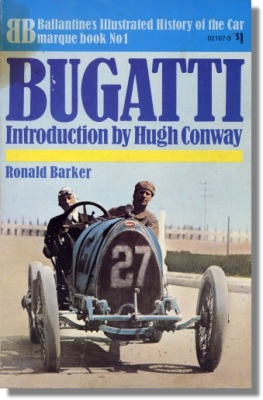 Bugatti - Ronald Barker - ENGLISH - 1971. Small unpretentious size printed on bad quality paper. It's a pity, because text and often new or uncommon photos would have deserved a better presentation. Small stain on the cover (see picture). 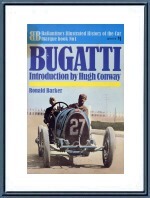 Published by Ballantine Books - New York - USA - February 1971.